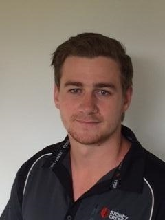 Ben Payne commenced 4th July as Harvest Manager, Gisborne. Ben was born in Hong Kong to Kiwi parents and after growing up in Hong Kong and America, Ben came to live in NZ at age 12 years. Ben has a degree in Forestry Science and has previously worked for Kiwi Lumber in the sawmill. More recently he has worked for Ernslaw One, Gisborne, as a Harvest Supervisor. Ben has spent the past year travelling around Europe, and his interests include skiing, surfing and rugby. Born and bred in Gisborne, Shaun Iremonger began his forestry career in 1997 working in all aspects of silviculture. He started a data collection business in 2002 where he and his team worked throughout the North Island collecting data from silviculture pre-assessment through to pre-harvest inventory and everything in between. Apart from forestry work, Shaun has also had 7 years experience in earthmoving (including forestry roads), and 4 years working in the Australian mines and gas fields. Shaun has a wife and 3 children and his interests include surfing, fishing and diving. 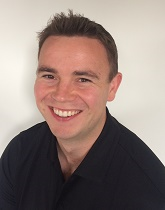 Shaun started as Forest Manager in Gisborne 11th July. 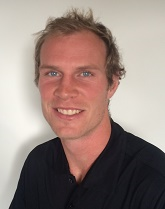 Simon Van Haandel moved from Tauranga to take up a Forest Manager position in Gisborne, starting 25th July. With a Bachelor of Forest Science, Simon has worked for Asset Forestry Logistics as a Logistical Dispatcher, and more recently as a Forester for Hancock Forest Management. Simon’s partner is an Occupational Therapist in Gisborne, and Simon’s older brother, Nick, works for PF Olsen in our Napier branch. 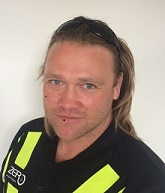 Sam McDell commenced 18th July as Engineering and Harvest Supervisor, Rotorua. Sam previously worked for PF Olsen during the last university summer holidays and his other holiday working experience includes log scaling and ticketing for C3 Logistics in Lyttelton, as well as cutting and selling Christmas trees. Sam will train with the Engineering team for approximately 6 months before being deployed to one of our branches. He is interested in all sports, including rugby.